The only Power Assist on the market powered by long lasting Lithium Ion Technology – 3 x more range! 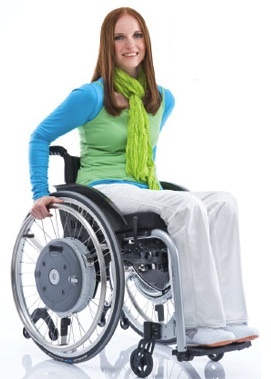 e-Motion Wheelchair Wheels from IndeMedical.com fit most wheelchairs currently available on the market. 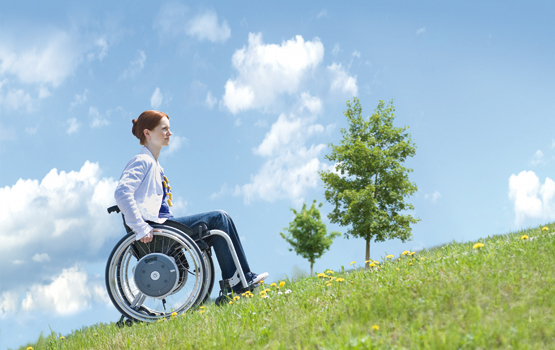 Almost all manual wheelchairs can be retrofitted with the e-motion by installing a simple mounting bracket. 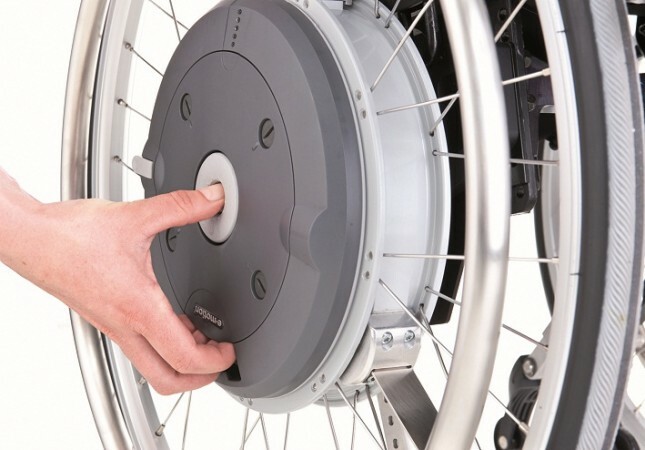 The standard wheels are simply replaced with the e-motion drive wheels, enabling the existing wheelchair to continue to be used. Small brackets are used to attach the drive wheels to the frame of the chair, and the original manually operated wheels can usually still be refitted should you ever need to remove the e-motion wheels. In this way, you can always choose the right form of drive to suit your needs – manual or power-assisted.